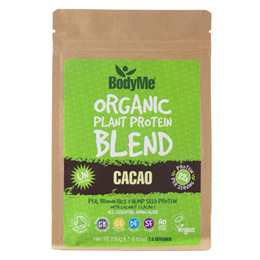 Below are reviews of BodyMe Organic Protein Powder Blend - Raw Cacao - 250g by bodykind customers. If you have tried this product we'd love to hear what you think so please leave a review. This has all the nutrients in it that I wanted but it does not dissolve. I have tried blending it and whisking it but it is like drinking liquid sand.